Ronald Reagan was not born into privilege, but in an apartment over a store. His father was an alcoholic shoe salesman who barely made ends meet. His college studies led him on a path that included drama, sports and student government. He achieved success in Hollywood and marriage. 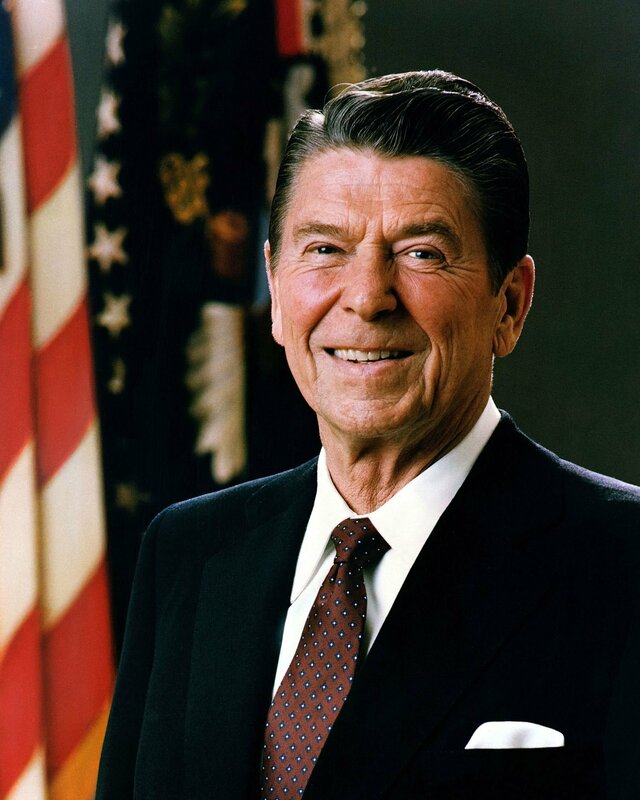 What distinguished President Reagan from the rest is that he developed the wit, charm and gift for communication with ordinary folks that most politicians emulate but never achieve. You can best judge a person’s accomplishments by how he is eulogized. The media that castigated President Reagan during his White House tenure and even accused Nancy of running the show is quiet. Today, a great man is honored for his ultimate achievement: the collapse of communism. He has proven to the world that mixing common sense with a vision, a plan, and a course of action gets great results. He knew how to get things done. The choices are simple: right not wrong, good not evil, freedom not tyranny, life not death, yes and no without ifs ands or buts. Try learning that in an ivory tower. President Reagan’s pro-life legacy is significant. He created the Mexico City policy, which prevented funds from going to international organizations that performed abortions. In 1985 the Kemp-Kaston Amendment was passed by Congress, prohibiting the United States from financing organizations that supported or participated in non-voluntary sterilizations or forced abortions, standard policy in China. His administration placed a ban on federal funding for fetal tissue research taken from aborted babies, and he opposed the human pesticide RU-486, preventing its importation into the United States. The Reagan administration filed a brief in the Supreme Court’s Thornburgh case supporting Pennsylvania restrictions on abortion and calling for a reversal of Roe v. Wade. On President Reagan’s order, the Department of Health and Human Services notified 6,800 federally funded hospitals that they would lose federal aid if they withheld food and medical treatment from handicapped babies. Abortion on demand now takes the lives of up to one and a half million unborn children a year. Human life legislation ending this tragedy will someday pass the Congress, and you and I must never rest until it does. President Reagan, rest in peace. The pro-life community will continue the efforts to pass a Human Life Amendment. In so doing, we will keep your legacy alive. Copyright 2004 by Bonnie Chernin. Copyright 2018 Jewish Life League. All rights reserved.